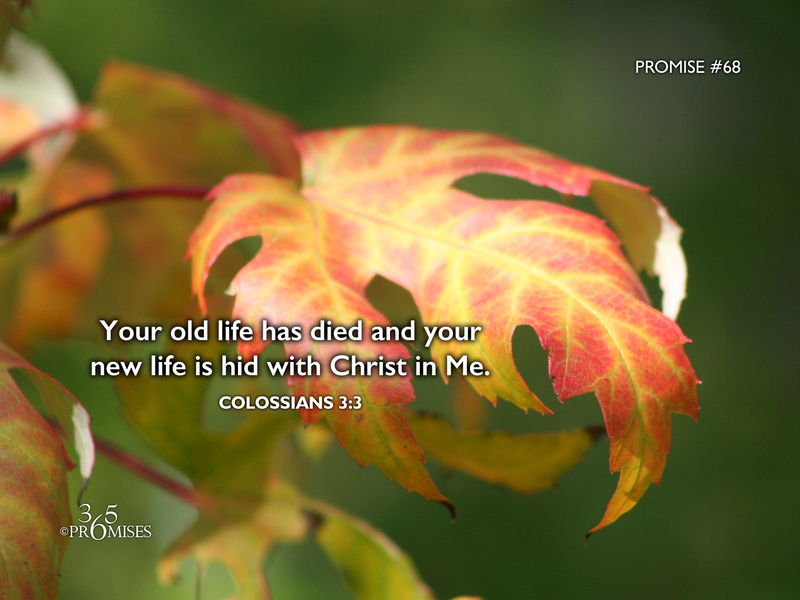 Your old life is dead and your new life is hid with Christ in Me. This passage of Scripture clearly tells of the royal position that every believer has in Christ, seated at the right hand of God. I do not believe that this just an idealistic picture that Paul wanted to paint, but it is a spiritual reality right now. Our Elder Brother Jesus, actually sits at the right hand of our Father in heaven, and because we are joined with Jesus, we are seated there too! Without revelation that comes from the Holy Spirit, the spiritual reality of today's promise is much more than we can comprehend with our natural mind. How can we see ourselves as hid in Christ, seated at the right hand of God with our human understanding? It is far too great a promise for us to grasp without the power of the Holy Spirit to make this real to us! So my prayer today is that the reality of our spiritual position in Christ would become more real to us than it has ever been before. Holy Spirit, would you come and help us grasp this amazing truth? We want to see with our spiritual eyes today and comprehend every great and precious promise that comes from the throne of our God and Father through Jesus Christ our Lord.